Bioquark Inc. and RegenerAge SAPI de CV will focus on translational therapeutic applications of a range of regenerative and rejuvenation based healthcare interventions, with the goal of reducing human degeneration, suffering, and death. Bioquark, Inc., (http://www.bioquark.com) a life sciences company focused on the development of novel bioproducts for complex regeneration, disease reversion, and aging, and RegenerAge SAPI de CV, (http://www.regenerage.clinic/en/) a clinical company focused on translational therapeutic applications of a range of regenerative and rejuvenative healthcare interventions, have announced a collaboration to focus on novel combinatorial approaches in human disease and wellness. SGR-Especializada (http://www.sgr-especializada.com/), regulatory experts in the Latin American healthcare market, assisted in the relationship. As we close in on $7 trillion in total annual health care expenditures around the globe ($1 trillion spent on pharmaceutical products; $200 billion on new R&D), we are simultaneously witnessing a paradoxical rise in the prevalence of all chronic degenerative diseases responsible for human suffering and death. With the emergence of such trends including: personalization of medicine on an “n-of-1” basis, adaptive clinical design, globalization of health care training, compassionate use legislative initiatives for experimental therapies, wider acceptance of complementary medical technologies, and the growth of international medical travel, patients and clinicians are more than ever before, exploring the ability to access the therapies of tomorrow, today. The estimate of the current market size for procedural medical travel, defined by medical travelers who travel across international borders for the purpose of receiving medical care, is in the range of US $40-55 billion. Additionally, major clinical trial gaps currently exist across all therapeutic segments that are responsible for human suffering and death. Cancer is one prime example. As a leading cause of morbidity and mortality worldwide for many decades, today there are approximately 14 million new cases diagnosed each year, with over 8 million cancer related deaths annually. It is estimated that less than 5% of these patients, take the initiative to participate in any available clinical studies. 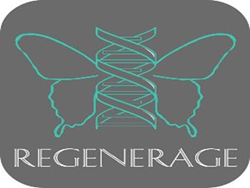 RegenerAge SAPI de CV is a novel clinical company focused on translational therapeutic applications, as well as expedited, experimental access for “no option” patients, to a novel range of regenerative and reparative biomedical products and services, with the goal of reducing human degeneration, suffering, and death.